I’ve discovered very little about My second great grandfather Joseph Lustig. The 1900 census indicates he was born in January 1855, I have his parents’ names from his own death certificate and marriage certificate, and the death certificates of one of his children indicates he was born in the town of Czecze, Hungay, which seems to correspond to the town currently known as Cece. Joseph Lustig came to the United States in 1875 or 1876 and became a naturalized American citizen by 1900. I haven’t been able to find any documentation of his naturalization, immigration, or any other events prior to his arrival in the United States. I have found his listings in New York City directories for various years. After asking for some assistance brainstorming within the Hungary Exchange Facebook Group, I decided to order a microfilm from the Family History Library that should help. In the 1950s, volunteers in Budapest photographed synagogue and church records, including births, marriages, and deaths, in the towns not far from this capital city. Cece was one of these towns. The microfilm arrived at my local Family History Center in East Brunswick, New Jersey earlier this week, so I took a couple hours out of my day to visit the center and scroll through the microfilm. 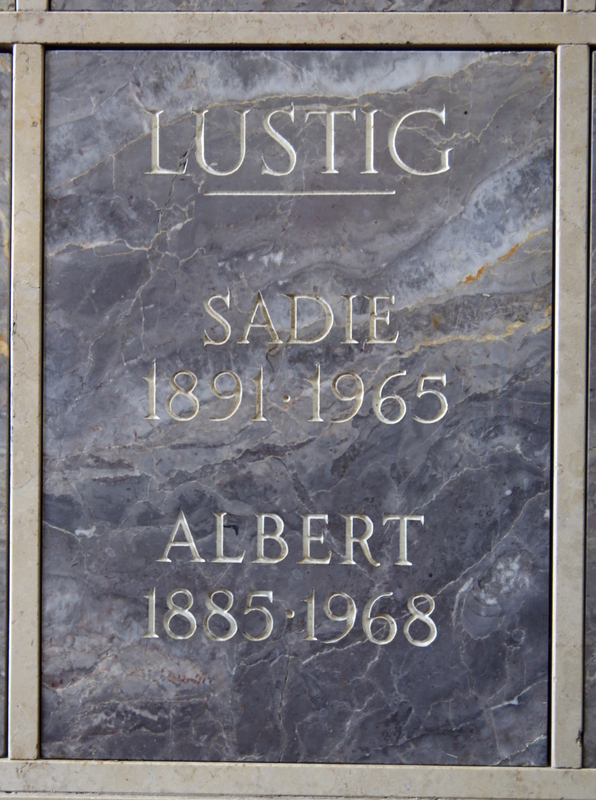 I found several entries for Lustig (or Lusztig) in Cece, but none appeared to be associated with Joseph Lustig. I could not find his parents’ names, either. I left the center a little disappointed. After arriving back home, I began digging through some more records. I made a careful record of the changes of his home address, and then discovered something new. 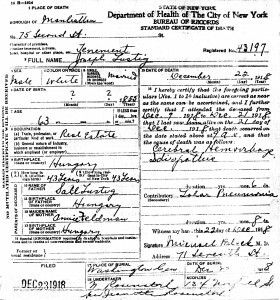 Joseph Lustig, my second great grandfather, was listed as a witness to the naturalization of another Lustig from Hungary living in New York City, Nathan Lustig, in 1902. I haven’t figured out whether there is a relationship between Joseph and Nathan, but it seems likely. I found more information on Nathan, whose father was Elias Lustig. Nathan’s naturalization documents include a testimonial from Joseph stating that he is Nathan’s brother, but the ages make this seem unlikely, and neither of Nathan’s parents’ names coincide with any of the varied names of Joseph’s parents. In another location in the naturalization papers, Joseph is indicated as Nathan’s uncle. Nathan would be the right age to be Joseph’s nephew. There is a probability that when Nathan and Elias arrived in New York in 1891, they knew Joseph had been living in the city for several years, and Joseph might have even helped Nathan and Elias immigrate. If it’s true that Joseph is Nathan’s uncle, Joseph and Elias would be brothers. There’s about thirteen years’ difference in age between Joseph and Elias, which isn’t impossible for brothers. 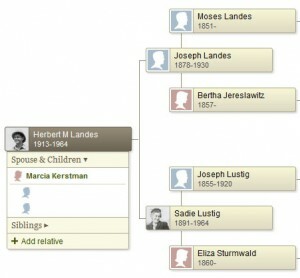 However, a family history document written by Mortimer Landes, Joseph’s grandson, says the following: “Joseph had no brothers or sisters as far as I know — but there were many cousins from his side — and I still have contact with some of them.” Morty died twenty years ago, so I never had a chance to ask who these cousins may be. Perhaps Elias and Nathan Lustig are some of those cousins. When I started looking into my family’s history, I had little information to begin with. A two-page handwritten document offered a brief overview of my father’s lineage, including his ancestors’ brothers and sisters. The document was writtreen either by my father’s aunt or uncle sometime within the past couple of decades. The information gave me a great starting point for my research. Members of the family tree on Ancestry.com can see the document here. You can join family trees on Ancestry.com for free, despite the company’s incessant attempts to get you to part with your money. If you’re a relative of mine and would like free membership to see the documents I’ve attached to the tree, leave a comment on this website. The second page of the document indicates that my great grandmother’s brother Albert Lustig married Sadie Jacobs. 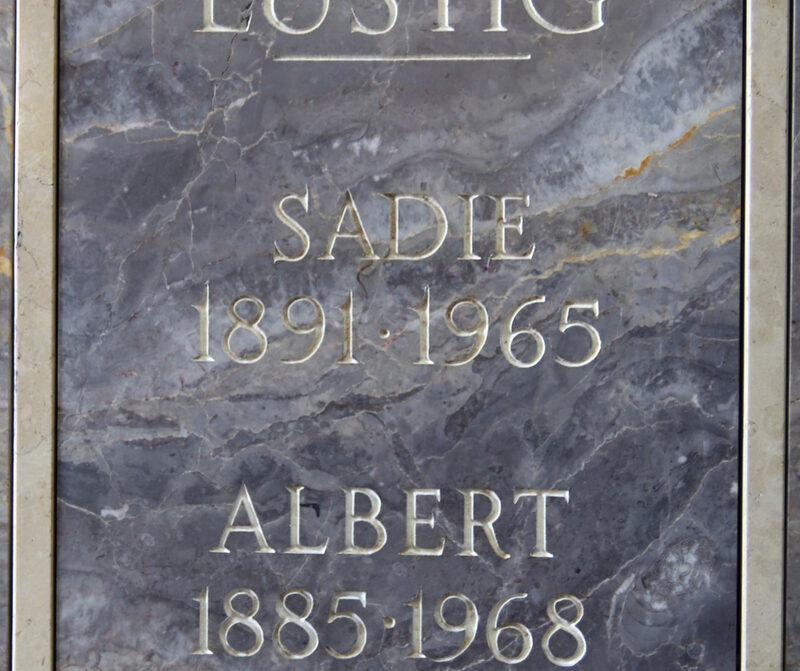 With this information, I had discovered where Albert and Sadie lived after they were married, but I couldn’t find any information about Sadie prior to the marriage. The marriage should have taken place in New York City during the time in which indexes are freely available via stevemorse.org, but nothing with these names, or using the name Abraham Lustig, as the groom was also known, was available. 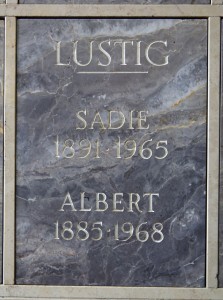 I did find a record for a marriage between Albert Lustig and Sadie Isaacs in New York, the same year that I expected my great granduncle to be married. I added this to the list of records to order, but it wasn’t a high priority. While there is a Family History Library about 30 minutes from where I live, ordering microfiche and scanning documents on-site is not something I currently have the time to do. Ordering the records directly from the New York City Department of Records takes a little more time and is a little more expensive. So I order only a few records each month. 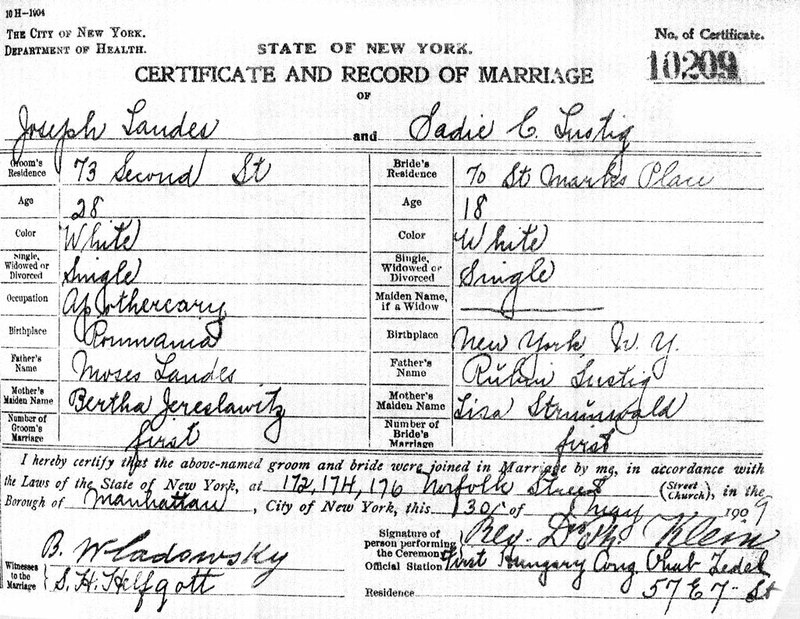 In March, I ordered the marriage certificate for Albert Lustig and Sadie Isaacs. When the document arrived this past weekend, I was pleased, but not completely surprised, to see that Albert Lustig’s parents as listed were in fact my second great grandparents, Joseph Lustig and Eliza Sturmwald Lustig. Sadie Isaacs, born in Philadelphia, was the daughter of Henry Isaacs and Rachel Leon Isaacs. I later discovered that Henry Isaacs came to the United States from The Netherlands and Rachel Leon was born in South Carolina. With this new information confirmed, I was able to find Sadie’s brothers and sisters. Other family historians with trees on Ancestry.com provided some hints to the descendants of Sadie’s siblings, which sent me in search of more records — mostly census records and marriage documents — confirming these new relatives. Again, this isn’t a high priority in my search because most of these relatives are at least one marriage away from my bloodline, but still not as distant as many other individuals included in the family tree. With Sadie’s family’s history in the United States stretching back through time farther than that of most of my direct ancestors, more resources are available online for research, particularly through FamilySearch. Had I ordered Sadie’s death certificate, I might have been able to determine the her maiden name. Because she passed away in 1965, fewer than 50 years ago, New York City would probably not release the document to me. Only confirmed direct descendants can receive someone’s death certificate within that time frame. One thing from the original document pertaining to Sadie Isaacs remains correct: she and Albert had no children. Is this the real Joseph Lustig? 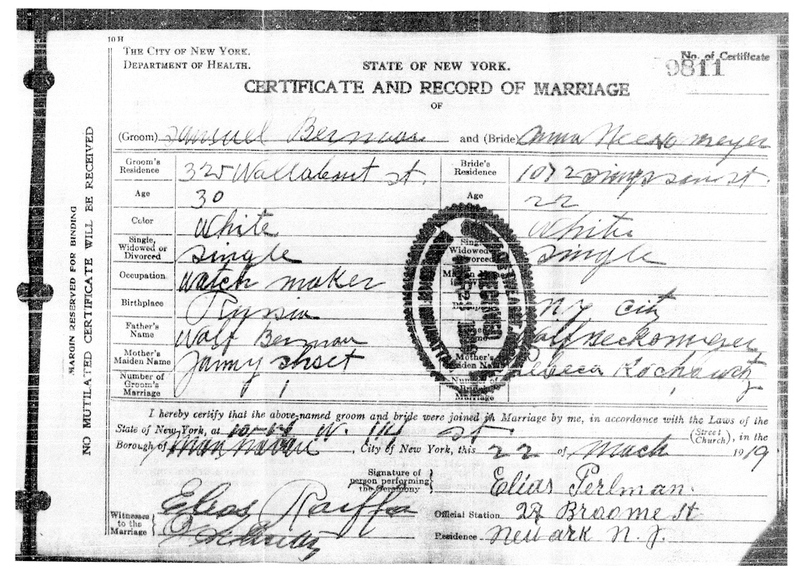 I wrote last week about the difficulty I had reconciling what I thought to be Eliza Lustig’s death certificate with the Eliza Sturmwald Lustig I had come to know as my second great grandmother. Death certificates are notoriously inaccurate, and it’s understandable. The informant providing the information to the Department of Health is often either grief-stricken and unable to recall obscure facts, or not close enough to the deceased to know the answers. With information on the certificates contradicting known facts, it becomes much more difficult to say with certainty that the certificate is pertinent. 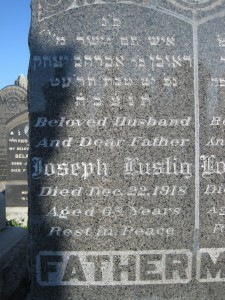 Other clues might help, and the death certificate I received last week for Joseph Lustig is full of clues. 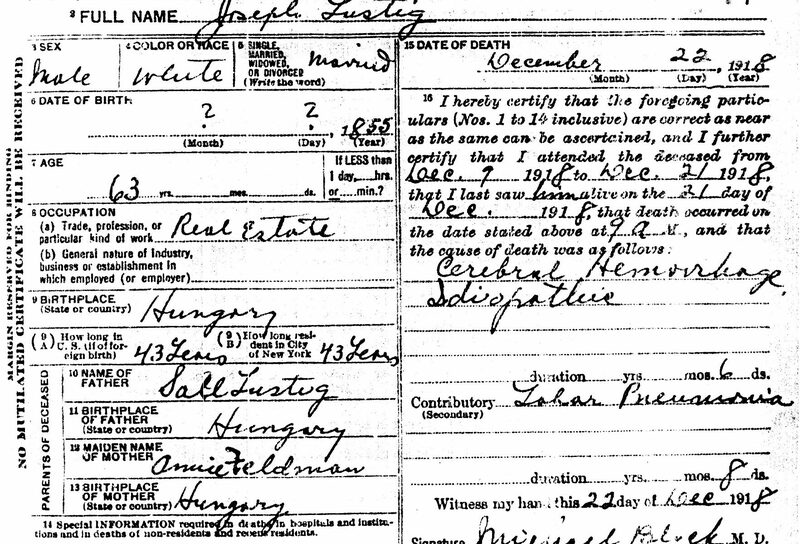 The date of death is one thing you can count on being accurate in a death certificate, and Joseph Lustig’s date of death is 22 December 1918 and a year of birth of 1855. 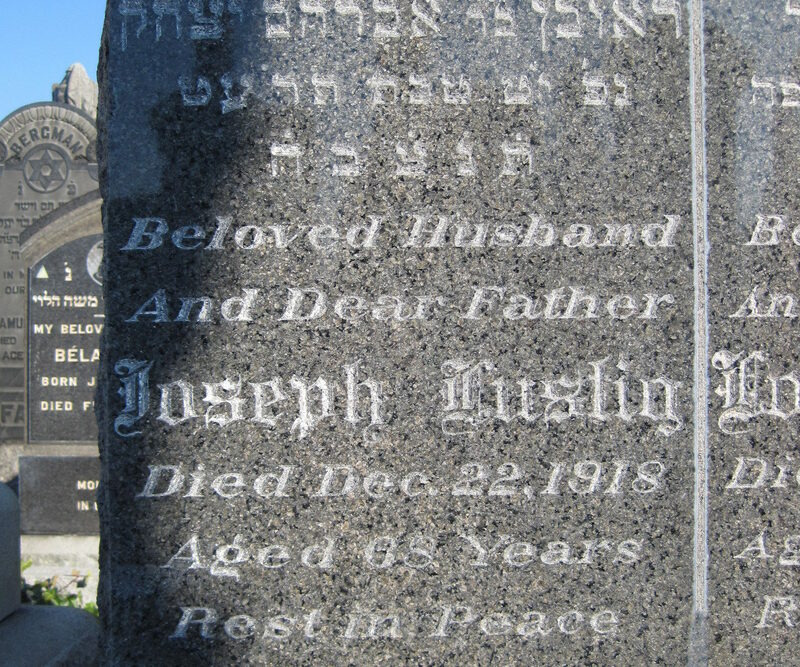 From census records, I know that the Joseph Lustig in my family must have passed away between 1915 and 1920, so the date is right. The cause of death is almost guaranteed to be correct, though limited by technology and medicine of the time. The cause of death is listed as idiopathic cerebral hemorrhage, but I have no other information with which I can compare. 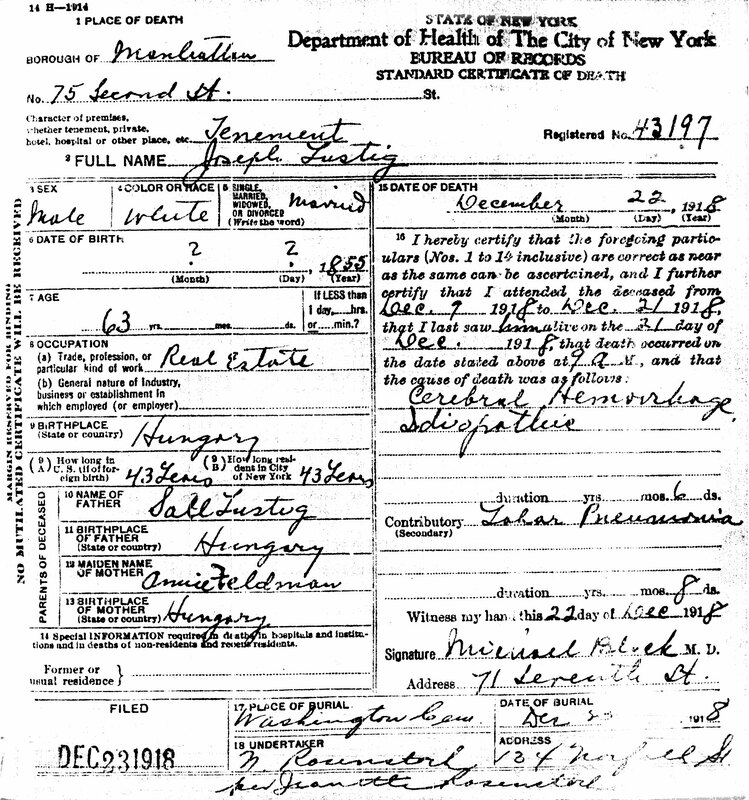 The death certificate does not list Joseph’s residence, only the location of death. 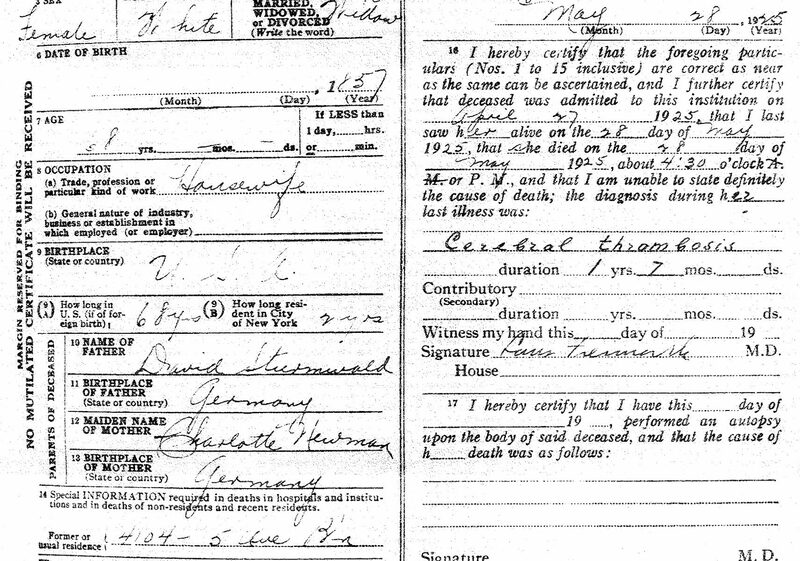 The certificate identifies the place of death as 75 Second Street, a tenement in Manhattan. The doctor who signed the certificate indicates he had attended Joseph for three weeks leading up to his death, and the picture I’m drawing in my mind is that this doctor, based on 7th St., visited Joseph frequently until the time of his passing, if this in fact my second great grandfather. So I’m looking for a Joseph Lustig most likely living in New York not far from this address. The 1915 New York Census and the 1920 Federal Census are good places to start, as I look for relatives — or Joseph, himself — living in the area. In June 1915, Joseph lived at 210-212 East 2nd Street in Manhattan, but his daughter Sadie lived with her husband and family at 71 2nd Street. That’s a distance of only two and a half long city blocks. I’m thinking the location is right. Is there any other Joseph Lustig — a 63 year-old real estate agent — living in the area in 1915, born around 1855, that I could reasonably assume might be the Joseph who passed away at 75 Second St.? According to the index to this census on Ancestry.com, there are no other Joseph Lustigs who fit that description.